One of the most stressful things in the world for a car or truck owner is having to get a car window replacement for your automobile. This is not uncommon for those how live in or around Yorba Linda and have been just too busy to get a car glass repair service for their automobile. 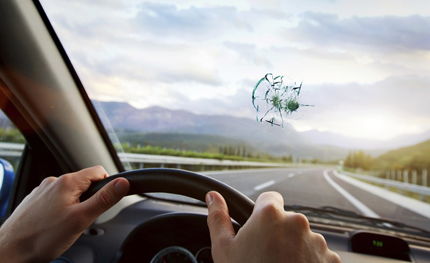 If you find yourself in this position, then you should definitely consider giving the team at Express OC Auto Glass a call today. Our mobile auto glass repair shop has been open for more than a decade now, and we are consistently ranked in the top of all service providers in the city. You will be amazed at the quality of work that our team delivers on a consistent basis throughout the Orange County area, and we guarantee that you will never have to deal with any annoying delays out of our repair teams waiting for them to travel back to the shop to get any tools, parts, or materials to work on your vehicle. We always deliver the utmost service quality and customer service on every job that we do for you, and we will always treat you like a member of our family. We also guarantee that our team will only use manufacturer approved glass and materials if you hire us to replace one of your windows. We find that it only helps ensure our customer’s safety by using proven components and glass when fixing or replacing one of the major safety items in your car or truck. If you have any questions regarding what our team can do for you, please give us a ring when you have a chance. We love to talk shop, and we will never steer you wrong. We look forward to your call today.